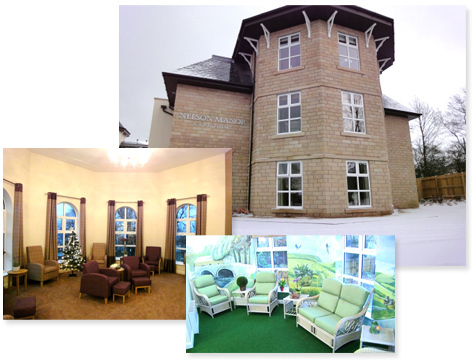 A purpose built, privately owned and run retirement home on the outskirts of Nelson in Lancashire, Nelson Manor aspires to set standards of its own in residential retirement care. Our Qualified Nurses support the entire staff complement in providing holistic care and support to enable you to lead as full and fulfilling a life as possible. We consider it vital that you enjoy meals and mealtimes, both from the point of view of having a wholesome and nourishing diet and also as a chance to meet and socialise with other service users. As well as our experienced staff members who will look after you, additional support is provided by a number of other healthcare professionals. Examples include doctors, specialist nurses, physiotherapists, occupational therapists and their attendance, if by referral, is free of charge.